In a room of attorneys and a French interpreter, Jeannine Mallard shields her eyes with sunglasses. Her voice is soft-spoken, shy but the 68-year-old can't hide her anger. “I get frustrated when I think what is going to happen,” she said covering her mouth. Mallard is the third patient to come forward with a lawsuit against U.S. Stem Cell, a Sunrise-based stem cell therapy business in the national spotlight after four patients said its eye injections caused blindness. 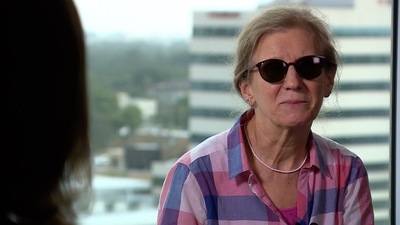 “They told me they injected 12 patients and they improved,” said Mallard when asked about the clinic’s pitch about treatment for her macular degeneration, a progressive eye disease. In early 2015, Mallard traveled to South Florida from France paying $7,000 for a U.S. Stem Cell procedure to slow down her road to blindness, claiming only to have it speed up, practically overnight. According to the lawsuit, Mallard suffered a retinal detachment in her right eye as a result of the procedure. “The right eye, I see nothing,” she said. “They said the worse that can happen is there is no effect,” she told us during her first public interview about it. On the day we spoke with Mallard and her attorney, they learned her right eye will need to be removed. "They ruined my life," said Mallard. “I can’t imagine a worse result,” said Alex Arteaga-Gomez, one of her attorneys at Grossman Roth Yaffa and Cohen. “There is no clear peer-reviewed scientific research confirming this therapy has any redeeming value for people suffering from macular degeneration,” said Arteaga-Gomez. “It’s crazy,” he said. While her original lawsuit against U.S. Stem Cell Inc and U.S. 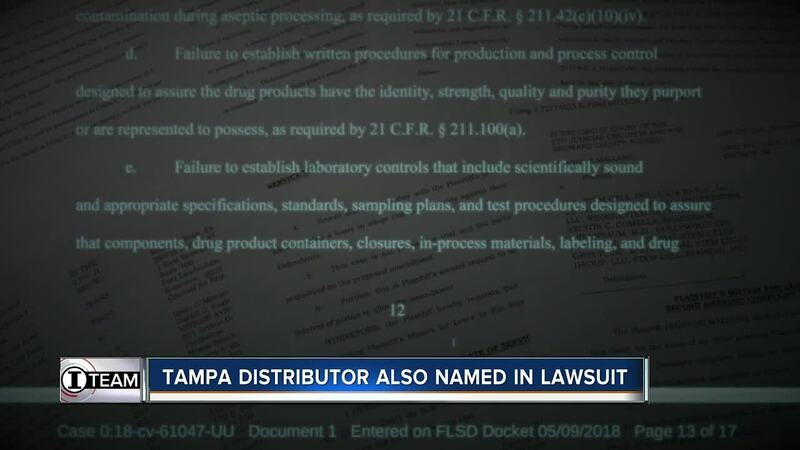 Stem Cell Clinic was filed late last year against a number of defendants including the doctor who performed the procedure, Dr. Shareen Greenbaum and the Hollywood Eye Institute, where the procedure was conducted, a recently amended complaint now also includes Tampa-based distributor, Pavillion Foods Inc. The distributor is accused of providing U.S. Stem Cell not just paper goods and janitorial supplies but syringes, incubators, and other medical supplies included in the so-called "medical kits" used to extract patient stem cells during the procedure. “We didn’t alter anything, we just assembled what was needed per procedure,” said Bob Comella, the distributor’s CEO. “We would buy a gross of syringes and then we would put 12 of them in a kit,” he said reiterating that each product would come individually wrapped and would stay that way when assembled into the medical kits. We’ve learned the west coast supplier and the east coast stem cell company is a family affair. ”We own the clinic actually it’s owned by my son, my wife and U.S. Stem Cell Inc,” Comella told us during an interview at his distribution warehouse in Tampa. Comella’s daughter, Kristin Comella, is U.S. Stem Cell’s chief science officer and a target of much of the headlines and lawsuits previous lawsuits. Two of the three lawsuits filed alleging the procedures caused blindness were settled. “We told them we were sorry and they got several million dollars and they were going to go blind anyway,” Bob Comella told us in response to questions about the lawsuits. Comella also told us his distribution company no longer provides medical kits to U.S. Stem Cell. While U.S. Stem Cell suspended its eye treatment therapies, it still offers experimental therapies for a wide range of conditions despite FDA warnings and a recent Department of Justice lawsuit calling for the company to stop. According to the DOJ complaint, U.S. Stem Cell manufactures stem cell products to treat serious conditions and diseases, including cancer and traumatic brain injury, without FDA approval and without proof of safety and efficacy. The complaints were filed at the request of the U.S. Food and Drug Administration. ”We’ve cured thousands of people. Why are we not talking about the thousands of people that have been cured,” asked Comella who claimed the clinic and his daughter, Kristin could connect us with a number of satisfied clients. However, after several attempts at contacting the clinic and his daughter, even making a visit to its main clinic in Sunrise, the company has not provided any happy clients for us to speak with. During our visit to Broward County, Kristin Comella was reportedly out of town, a desk clerk told us. So we did our own digging and eventually found 70-year-old Donald Genereux, a Fort Myers snowbird who has had 5 treatments from US Stem Cell in hopes the therapies would help him breathe better. Genereux suffers from Chronic Obstructive Pulmonary Disease, an incurable lung disease. "They were very nice to me, very cordial, informative," said Genereux describing his experience with U.S. Stem Cell. When asked if his treatments worked, Genereux replied “No, it didn’t. My lung function hasn’t improved at all. In fact, it goes down a bit. I lose about 2% function per year, he said. But Genereux is quick to not point blame. “Do you feel like U.S. Stem Cell offered you false hope,” asked reporter Katie LaGrone. “No. I had the false hope built in. I was really grasping for straws. I wanted a miracle of some sort and that was as close as I was going to get to it,” he said. A miracle pitch that began with hope, Jeanine Mallard now says ended up leaving her helpless. “I’ve always been strong. I need help. It’s difficult to accept,” she said. U.S. Stem Cell would not grant us any interviews. It’s PR firm referred us to a December 2017 press release after Mallard’s original lawsuit was filed. According to that release, "the use of autologous stem cells for macular degeneration was discontinued by U.S. Stem Cell in June 2015, after adverse events were reported." The company goes on to state that U.S. Stem Cell and its affiliated entities did not administer the treatment to Ms. Mallard. The procedure was performed by Dr. Shareen Greenbaum, an outside practitioner who was trained to use U.S. Stem Inc. technology. 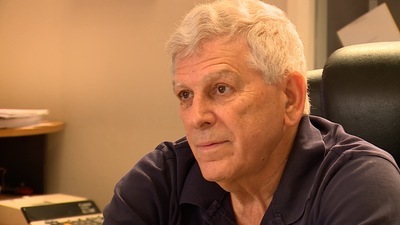 Dr. Greenbaum has not responded to repeated attempts for comment.